Eli is available for master classes and private coaching on a limited basis. Eli Yamin is a pianist, composer, singer and educator who has toured the world with his jazz quartet, blues band and duo with clarinetist Evan Christopher, celebrating their new CD, LOUIE'S DREAM, for our jazz heroes. Eli has designed and performed numerous performance programs in hundreds of performances for young people including The Different Moods of the Blues with the Blues Band, The Magic and Mechanics of Jazz with the Trio and Jazz Means Freedom with Quintet. Eli is a Training Specialist and Head of Instruction of Jazz at Lincoln Center’s Middle School Jazz Academy and co-founder and Artistic Director of THE JAZZ DRAMA PROGRAM. He has led programs for the National Endowment for the Arts, The Mesa Arts Center, National Dance Institute, Mississippi Arts Commission, University of Idaho, University of North Carolina-Chapel Hill, The Washington Performing Arts Society, as well as teaching and performing at the White House for the first ever White House Jazz Studio hosted by First Lady Michelle Obama. 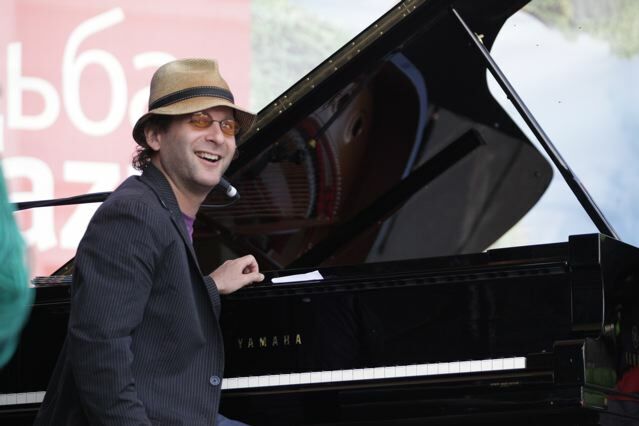 For six years, Eli was the educational consultant charged with providing educational training for musicians touring internationally with The American Music Abroad Rhythm Road, a program for cultural diplomacy produced by the United States Department of State and Jazz at Lincoln Center. For executives, Eli co-designed and leads three popular workshops: Jazz and Managing Autonomous, Flexible Teams, Jazz and Entrepreneurship, Jazz Culture: Maximizing Diversity and Creativity in partnership with Fordham Graduate School of Business and its partner programs around the world. Especially for children, Eli co-founded THE JAZZ DRAMA PROGRAM (www.thejazzdramaprogram.org), a 501 c3 not for profit organization dedicated to improving young people’s lives and their communities through experiences in jazz and theatre. Eli has co-written five jazz musicals for children. NORA'S ARK, about climate change and accepting difference and HOLDING THE TORCH FOR LIBERTY, about the culmination of the women's suffrage movement, are licensed for local productions by Theatrical Rights Worldwide (theatricalrights.com).From 1991-2005, Eli worked as a freelance teaching artist in New York City in over 100 schools partnering with classroom teachers to bring expansive experiences to students pre-Kindergarten through graduate school. He trained in the Maxine Green inspired Aesthetic Education Practice of Lincoln Center for the Arts in Education (LCI) and was a member of the Focus School and Higher Education Collaborative. Eli earned his Masters in teaching music at Lehman College, City University of New York and is a certified Somatic Voicework, the LoVetri method vocal teacher, Level III. He currently teaches “The History of American Jazz” at Marymount College in Manhattan. Styles taught: Jazz and blues. Somatic Voicework is the key to freedom in singing. It is earthbound in its systematic and practical methodology and soars in the artistic expression it releases. Melissa specializes in teaching musical theatre and has a vast knowledge of musical theatre styles and repertoire. She also coaches students on musical theatre audition technique.